Paul uses the language of baptism to draw his parallel, evoking the story (and placing the Corinthians within the story) of the wilderness generation. Paul is a master rhetorician as well as a master theologian. And this is not merely rhetoric, but theology. This is not only Paul’s theology of the church, but also his theology of the sacraments. Baptism here is not the baptism of individual faith, but baptism into the people of God: all were baptised into Moses. This is critical to Paul’s point: not all of those baptised into Moses were pleasing to God (v.5). In the same way, the Corinthian Christians who are toying with idolatry need to know that it is their faith in Christ, not their baptism which is the ground of their security. The visible church, which is also catholick or universal under the gospel … consists of all these throughout the world that profess the true religion, together with their children. Thus baptism, as the means of entry into the visible church, cannot be fundamentally based upon the faith of the one who receives baptism (WCF 28.4). [t]he whole point of the connection of this event with Baptism is that afterwards, really and temporally afterwards, the response must follow―and this even when faith was already present before Baptism. This sequence of events: act of God―response of man―is normative. 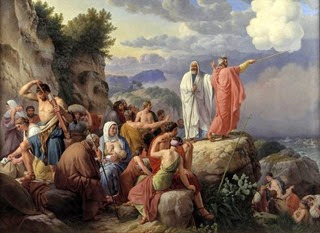 What happened to all (πάντες) the members of the people, namely, the miracle of God, is opposed to what happened to τινες, whom that miracle did not suffice to save, since they did not respond to it with faith but incurred the guilt of the sin mentioned there (p.49). Thus, for Paul baptism is an act based not primarily on faith, but on God’s covenant promises. These promises are not just to individuals or to families, but to a whole community. In the case of the baptism of the children of believers it is a sacrament based on God’s promise, not first and foremost on the parents’ promise. It is God’s promise that demands a response. And it is a sacrament that involves a community, the Church. 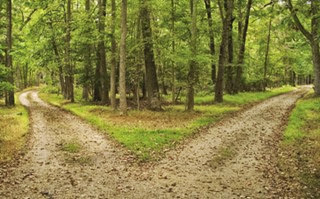 The sacrament demands a forward-looking response in life together, the response of faith. This is true for children of believers and for those from outside the Church whose faith has led them to baptism in the first place. If we don’t respond to our baptism with faith, we will be disqualified from the prize. Some time ago I read a thought-provoking article from the Expository Times entitled, ‘A Taxonomy of the Pastor-Theologian: Why PhD Students Should Consider the Pastorate as the Context for Their Theological Scholarship’. The author, Gerald Hiestand, argues for the revival of the ecclesial theologian, a minister who is engaged in the academic theological task and publishing work from within the context of ministry. This is distinguished from the well-known models of the local theologian (a theologically-minded minister of a local congregation) and the popular theologian (a minister publishing work at a popular level). It’s written from an American evangelical context, but is nevertheless more generally applicable. Many PhD students feel pulled between the life of the mind and the life of the church. They love study, writing, reflection, and theological scholarship. They have the desire and gifting to serve as theologians to the wider evangelical community. But at the same time they have a heart and calling for pastoral ministry in the local church. Sadly, our current context compels such individuals to choose between these two callings. Yet this need not be—history has proven otherwise. Both the church and evangelical theology itself is in need of individuals who are willing to unite the life of the mind (and pen) with the pastoral vocation. Both pastors and professors must once again hold out the local church as a viable social location for theologians—not only for the sake of a particular local church, but for the sake of theology itself. ‘A Taxonomy of the Pastor-Theologian,’ Expository Times 124/6 (March 2013), 271. In the early hours this morning, unable to sleep, I picked up Dietrich Bonhoeffer’s Letters and Papers from Prison. What I read didn’t help me sleep! It was one of those moments when you read something that seems to connect at so many levels with your own recent meditations. There is so much to reflect on here, being at once a word about Christian hope, truth and experience, and a word about hermeneutics – how to read and understand the Bible. 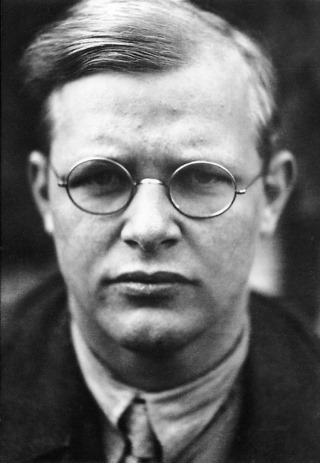 Bonhoeffer’s words speak into evangelicalism’s tendency towards Christomonism. He points to the God who has spoken words before the last word: words of creation, of blessing, of promise, of judgement, of hope. The last word can only be understood in the light of these words. It is an irony of today’s church that a zeal to see the Messiah everywhere in the Bible leads to a certain blindness to who the Messiah truly is. I was particularly struck by these words: ‘It is only when one loves life and the earth so much that without them everything would be gone, that one can believe in the resurrection and a new world’! That statement is to me like a banner high in the wind! A love like that arises from a true vision of, and love for, Jesus the Messiah! Bonhoeffer is correct that the pietist does not understand this. And that is why so many Christians baulk at the idea of loving life and loving the earth in this way. Bonhoeffer’s words express the true hope of God’s word, and are a call to the grand vision of Reformed Christianity.